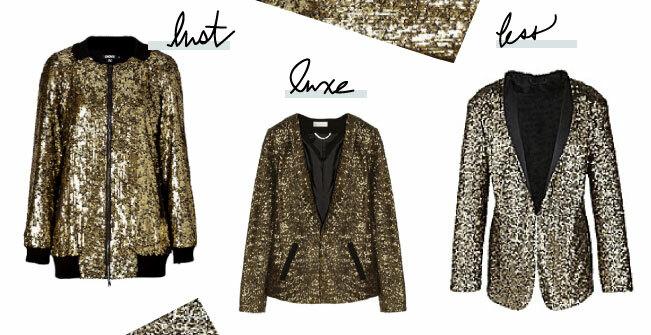 There are few items that scream glitz, glamour and holiday party girl louder than a glittering gold sequin jacket. This little number plus ankle-wrap stilettos dress up dark denim for girls’ night out or when layered over your LBD this basic rockets a go-to dress to a whole new level. From tuxedo and tailored to varsity style, this look transforms your look to holiday festive faster than you can say, “‘The gutsy girl glittered in gold while guzzling grape-tinis.” Bottoms up!